1. 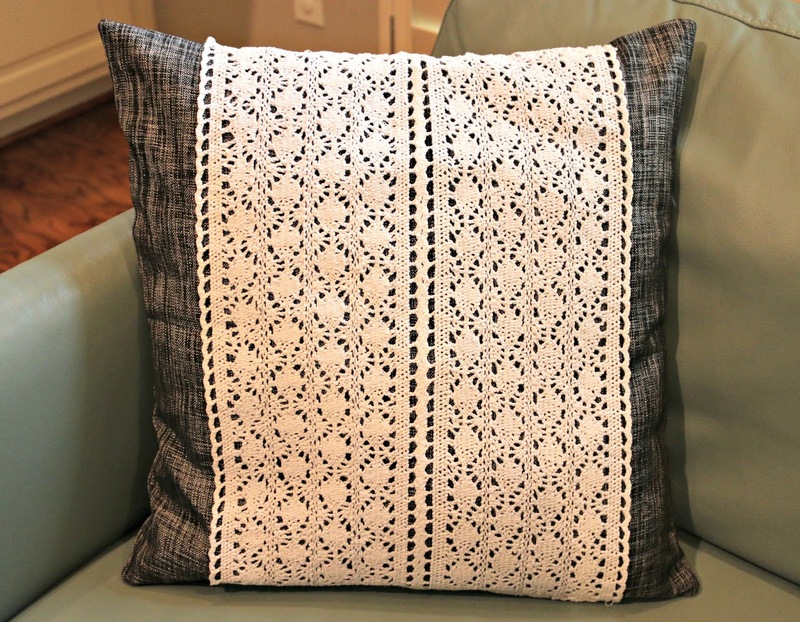 Using a placemat to decorate a pillow. *You can see the complete tutorial at my DIY Pillow Makeover Post. .
2. 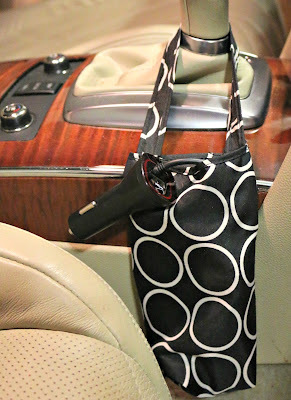 Using an umbrella cover in my car to hold my cell phone charger. 3. 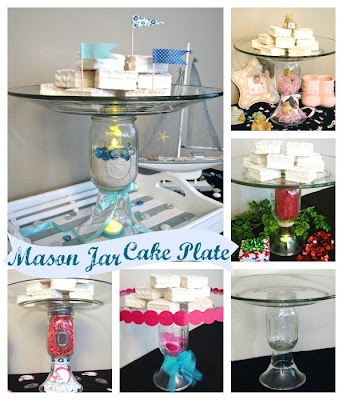 Creating a cake plate from a mason jar. *You can learn more in my DIY Mason Jar Cake plate Post. 4. 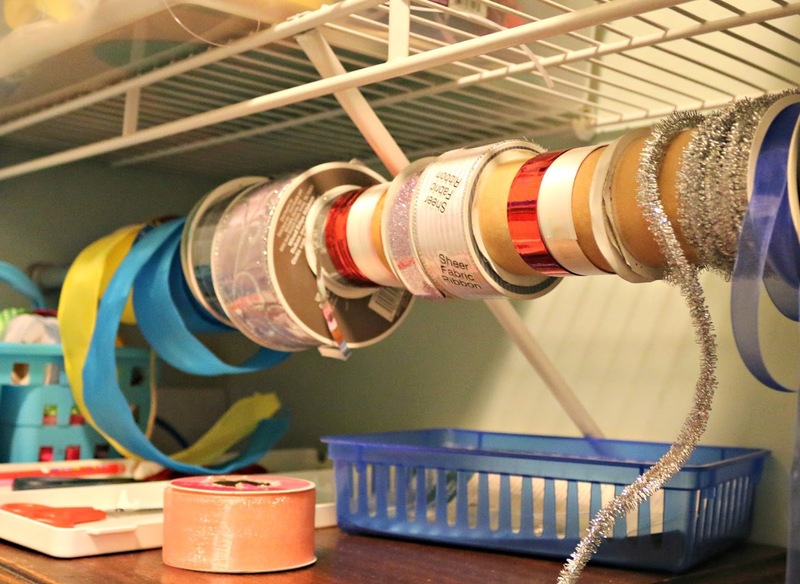 Using a tension rod to hold ribbons in my craft closet. 5. 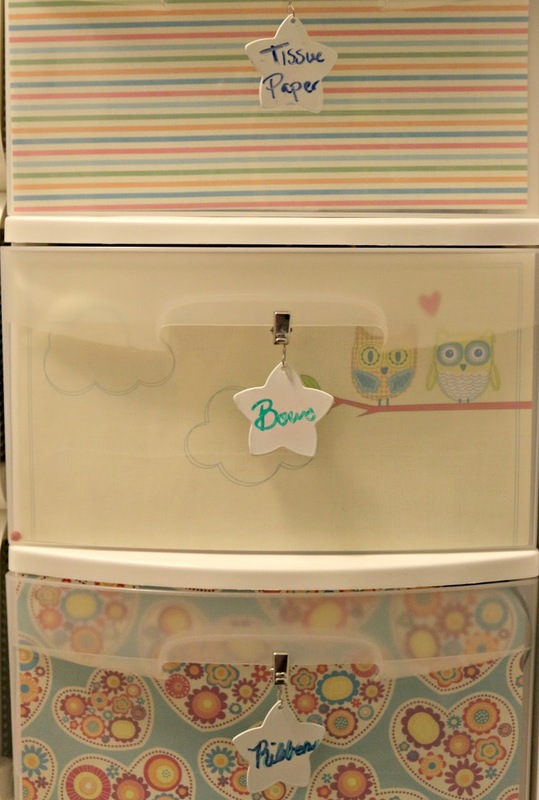 Labeling laundry baskets for stains and hand washing in the laundry area. *Learn more in my DIY Laundry Space Post. 6. 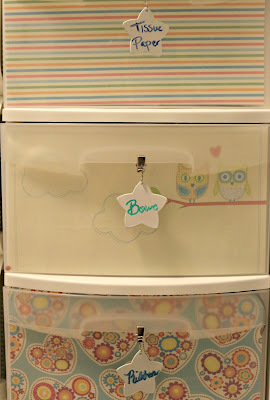 Using tablecloth weights as dry erase labels for drawers. *Learn more in my Craft Organization Post. 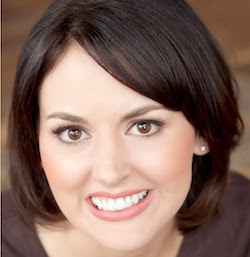 Hopefully these ideas will inspire you to look at things in a different way, so that you too will have some new "Ah-ha" moments. Thanks so much, Jamie. It makes my car life much easier. Thanks for stopping by and commenting!! That is adorable!! So cute! So many great life hacks. I love the one for the laundry. I am totally going to try that!